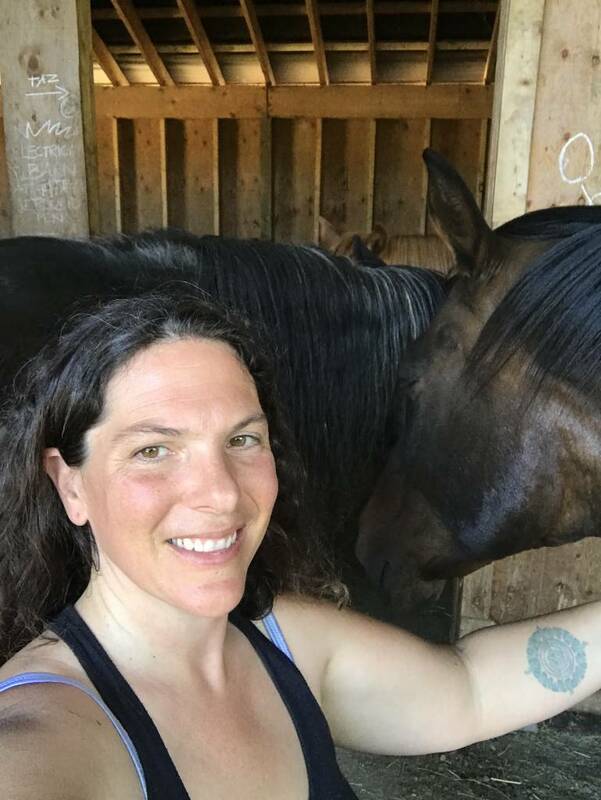 I love energy, my energy, your energy, and the horses as tools of translation about universal energy and our mastery of it. Horses are unique in their ability to call us into alignment and teach us without judgment, calling us to better our-self and our life. He had me at the introduction, when he spoke about the shift in world consciousness and our hunger for greater understanding. He speaks of the dissatisfaction of the current standards of our relationship to each other, the planet, ourselves.. and how the study of "lightness" can alleviate the underpinnings of this social angst. He shares that the ancient Native Americans knew that learning was simply remembering, and that at some point we already "knew" all there was to know in our body, mind and soul. Being with a horse from this perspective allows us to embody this truth by accepting that the horse is already light, he is already taught, he is already pure of heart and just waiting for us to clear our own energy system and come to him in this truth, then the higher self can channel into the training session, and time and hard work disappear, and are replaced by openness and release, the characteristics of lightness, oneness, and enlightenment. The trajectory of growth that my corporation SoulStar Enterprise INC is on is to embrace a global multi-million dollar company within 5 years, and I know this will happen, because my coach is assisting me to embrace the very qualities that this horse book is discussing. You get to a level of mastery in your life where you rise up above the compartmentalization of things, and start to call in the seamless exquisite nature of the living quantum field of all possibility. You start to recognize your power to create any kind of life you want, and that once you stop believing you are a victim to circumstances, and are grateful for every single thing that has led you to now, the layers of poverty and scarcity peel away like a coating of dust on your car window. You above all else choose to end the drama of fighting and pushing against all the wrong things, and look to the lightness of life, the true calling in your soul, and the excitment of a child taking her first few steps, the look of delight when she first tastes ice cream, of the joy that bubbles up in your heart when a baby smiles at you.. that energy is the fuel you tap into ALL THE TIME, and thus the manifestation of all your wildest dreams actualizes as if by magic, as you have no longer decided to be the only non co-operative component in your life. You let go to the openness/release that these master horse trainers talk of. You know your direction in life, the one that speaks to you from your heart and your focus is on that reality.. PERIOD. This kind of direction requires self-discipline and it is the first thing we must achieve as a rider and as a entrepreneur, game changer, light worker, way shower, system buster.. etc. Then is rhythm, you find and keep your distinct rhythm.. this feels to me like energetic alignment. You tune into the frequency of fun, enjoyment, loving your life, and the possibility of releasing the illusion of suppression, let your life energy emanate this and your physical life will reflect it back to you, this is an inside out job. Bend.. i think this is sort of like perspective. In a horse, the beautiful connection of liberty work, or dressage and dancing with your horse, all comes from our asking the horse to move in certain ways. The horse when relaxed is open to mirror your request without resistance, force, blocking or aggression. I feel like this is the secret to manifestation. The horse is such a beautiful being of integrity. It is not going to respond to you the way you want it to, unless you are coming from complete alignment on all levels, total authenticity. Creating life out of the quantum field is like this, when we are totally authentic and pure, we reach into the all that is, and create without distortion. When we ask for things and have so much blocks and aggression and resistance it makes sense that we may get what we intend if we struggle, work hard, compromise, struggle.. all that old stuff. So the key is to do our work first, be disciplined with our emotional integrity and find our natural rhythm then we shall stand in the light of physical steps, the how to's. Lastly is the lightness, the relaxing of our hands and legs, the emptying of the mind of all agenda and goals, and dropping into the meditation of the quietness - the stillness - of our breath, the horses breath, the coherence of our heart beating together. He says that the KEY to understanding lightness is through the recognition of the superior matter, the greater power that we are ALL a part of, that is inherent in us. He said the mantra OM NAMAH SHIVAYA means we are open to and acknowledge our true inner self, which is the form of god in us. I will leave the majesty of this last wisdom teaching with you dear reader, so that you may dive into this contemplation and how it serves you in your life right now.. as we are all equal and on various interweaving pathways, and so my particular knowing about what this means is different then yours, and i want you to feel the goose bumps of your own awareness around lightness on or off a horse.